You are now in the heart of the Old West. Arrowhead lies just off Highway 89 otherwise known as National Park Highway or the Backbone of the Rockies. Your experience at Mt. 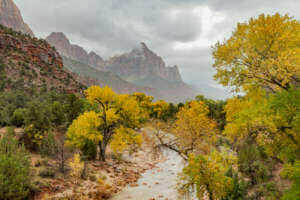 Carmel Junction, Utah will be one of the great adventures upon which you will reflect with the fondest of memories. That is why the rooms include a fresh breakfast buffet and coffee served every morning before you begin your day. Now you are ready to experience all of the great adventures that lie within a short distance from Arrowhead Country Inn and Cabins. A 15-minute drive and you are at Zion National Park. The east end of the park boasts the Zion-Mt Carmel Tunnel; a mile long tunnel cut through solid sandstone, completed in the first half of the 20th century (1930). On the west end of the tunnel, you now have a vantage point as you are within view of the Great White Throne, the West Temple, the Three Patriarchs and the Temple of the Sinawava. You are minutes from the famous Checkerboard Mesa. Here you can take a day hike over breathtaking Navajo Sandstone. Between Checkerboard Mesa and the Tunnel (ten minutes apart), many people post sitings of bighorn sheep. Maybe you want to see the hoodoos in Bryce Canyon. Hoodoos are rock spires. 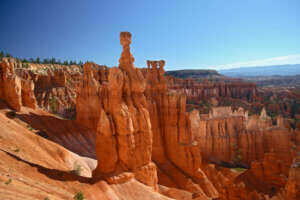 Hoodoos experience erosion on a daily basis with beginnings over 30 million years ago. When you first gaze upon a hoodoo, sometimes called goblins, one is taken away by the variety of sizes, shapes, and colors. The myriad of colors stems from the diversity of minerals as these spires rose from a prehistoric lake. The 60-mile drive from Arrowhead Inn to Bryce Canyon boasts some of the most dramatic landscape in the United States offering exhilarating vistas, canyons and views only experienced along this stretch of old Highway 89. The same road traveled by Butch Cassidy over 100 years ago. 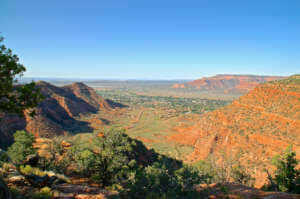 Overlooking peaceful Kanab, Utah from the East. Less than 20 minutes to the south is Old Hollywood Movie Sets and Frontier Movie Town. 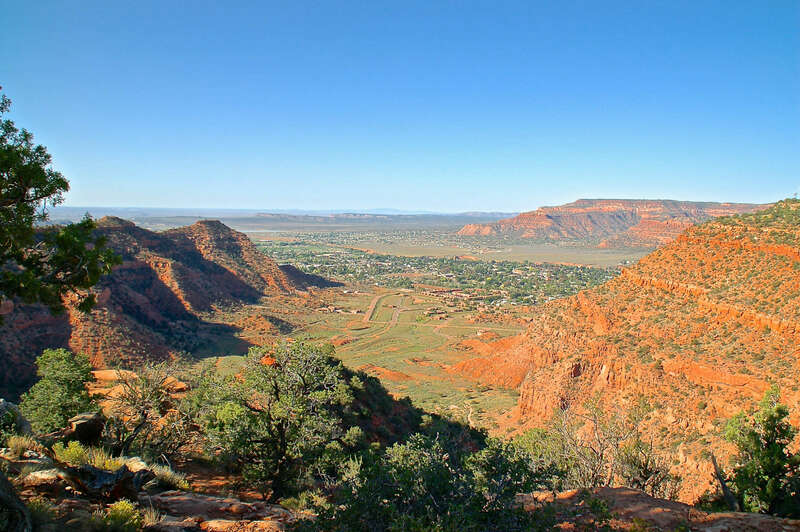 As early as 1924 Kanab became home to some of the great movie sets of the 20th century. 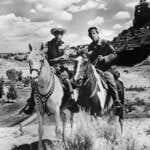 Movies and television series such as Maverick, Planet of the Apes, Billy the Kid, Kit Carson, Buffalo Bill, Lassie, Grizzly Adams and The Lone Ranger and many others were shot and filmed here with actors such as Clint Eastwood, John Wayne, and Mel Gibson. Kanab is also home to Sego Restaurant featuring master Chef Shon Foster. Sego is a must stop if you are hungry for world-class food served in a contemporary environment, the contrast to the old west and this modern gem in the heart of cowboy country is a real treat and in our opinion an experience as important as any other reason you find yourself in this part of the world. The accommodations at Arrowhead are clean, and the prices are reasonable and will not break the bank. Arrowhead prides itself on cleanliness and old-fashioned hospitality. The individual cabins and decor of the rooms add to the experience. Many visitors feel that they are part of the original homestead while staying in the cabins and rooms. 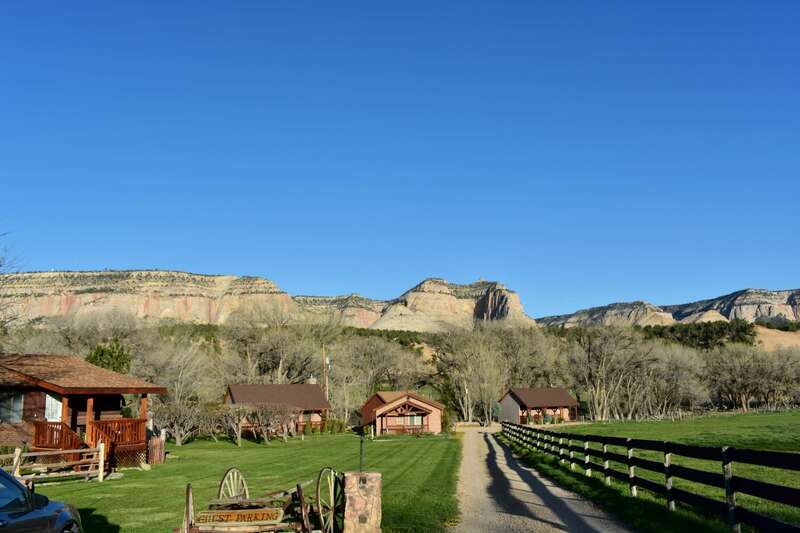 There is a sense of pride for the area and the settlers during the different time periods from the Virgin Anasazi Native Americans to the Mormon pioneers of the 1800s to the present day. Your stay at Arrowhead Country Inn and Cabins will be delightful and allow you to visit and experience all of the unique places, people and things that make this area a special place in the world and a bucket-list destination.